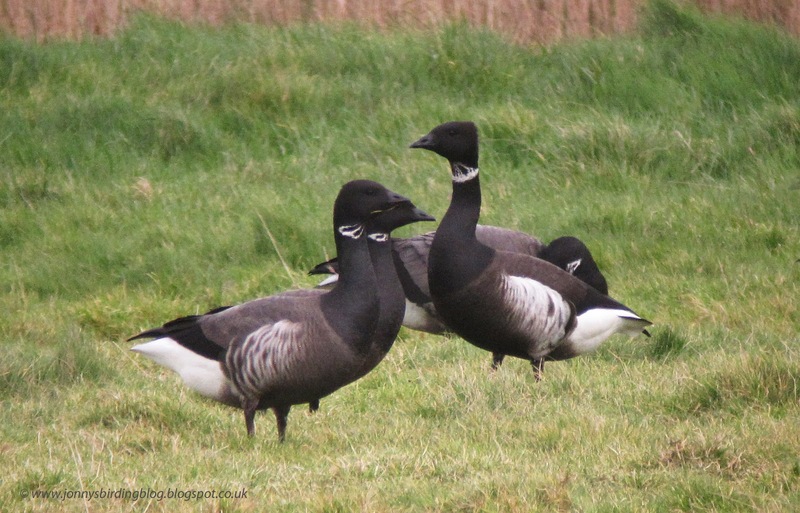 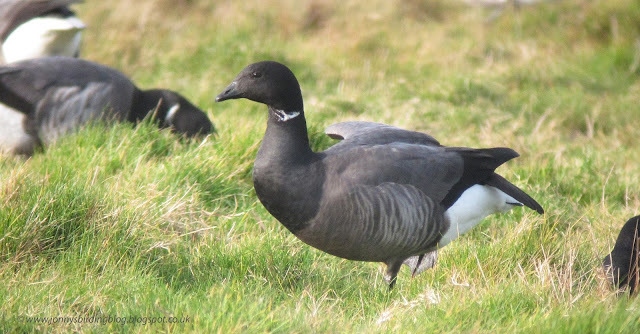 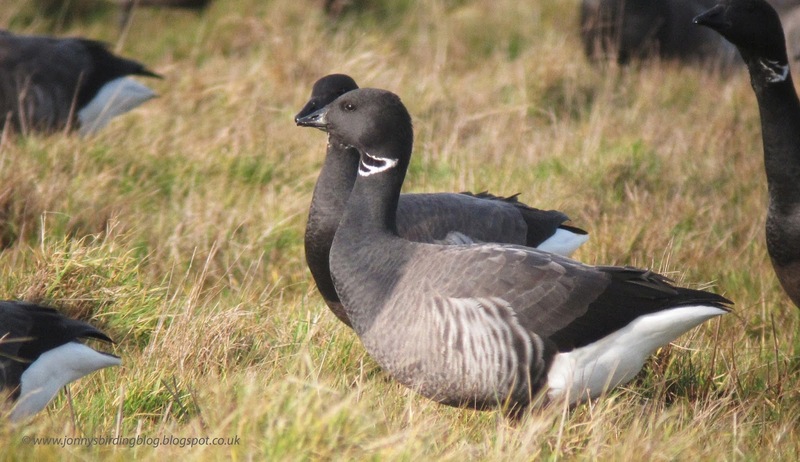 Black Brant at Cley with Dark-bellied Brent Geese - video best viewed in HD at 1080p. 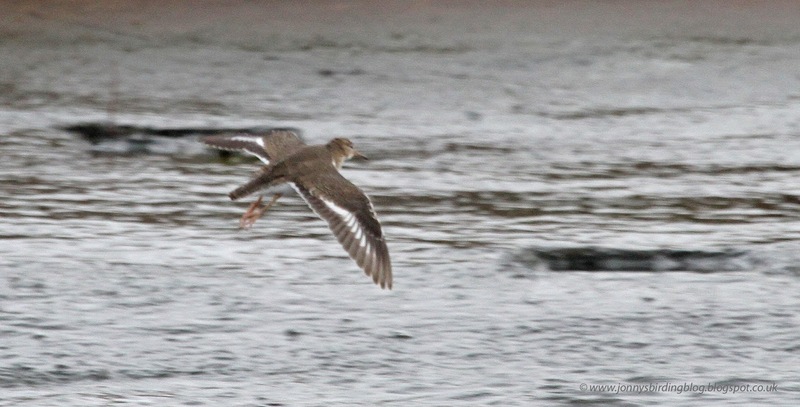 Note the chocolate-brown tone to the upperparts. 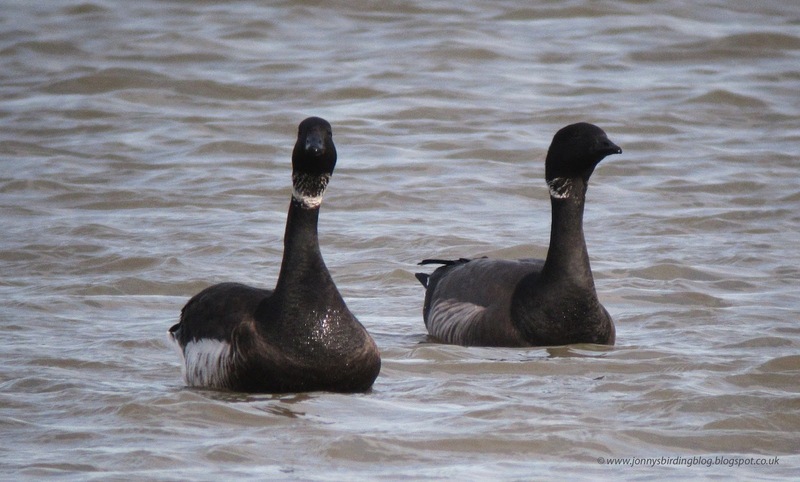 Black Brant x Dark-bellied Brent Geese hybrids at Holkham - with slightly duller flanks than pure Brants as well as slightly smaller collars and a greyish wash to the upperparts. 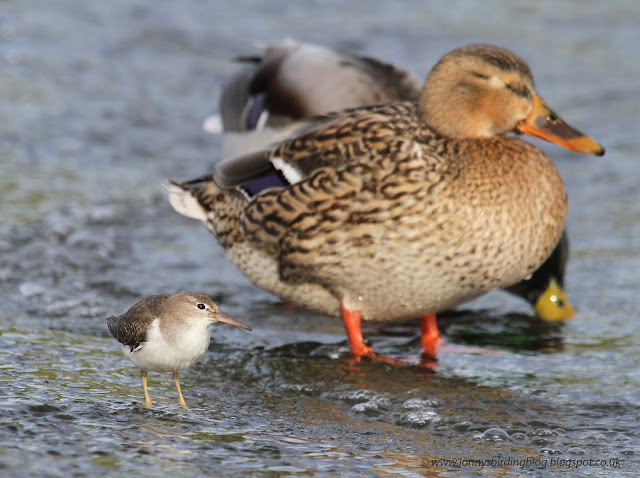 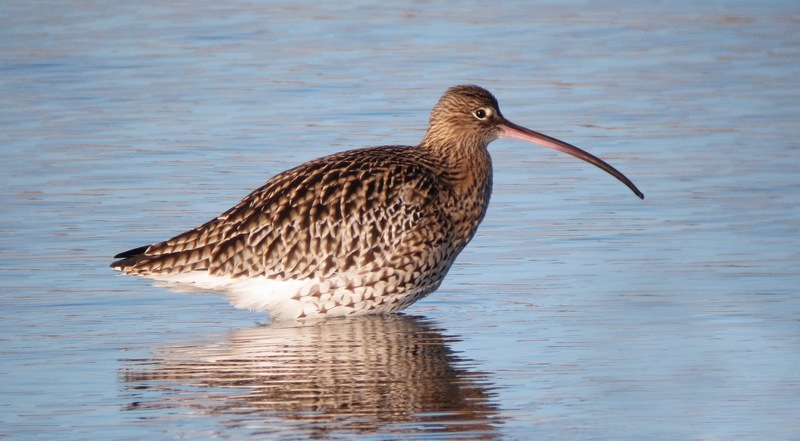 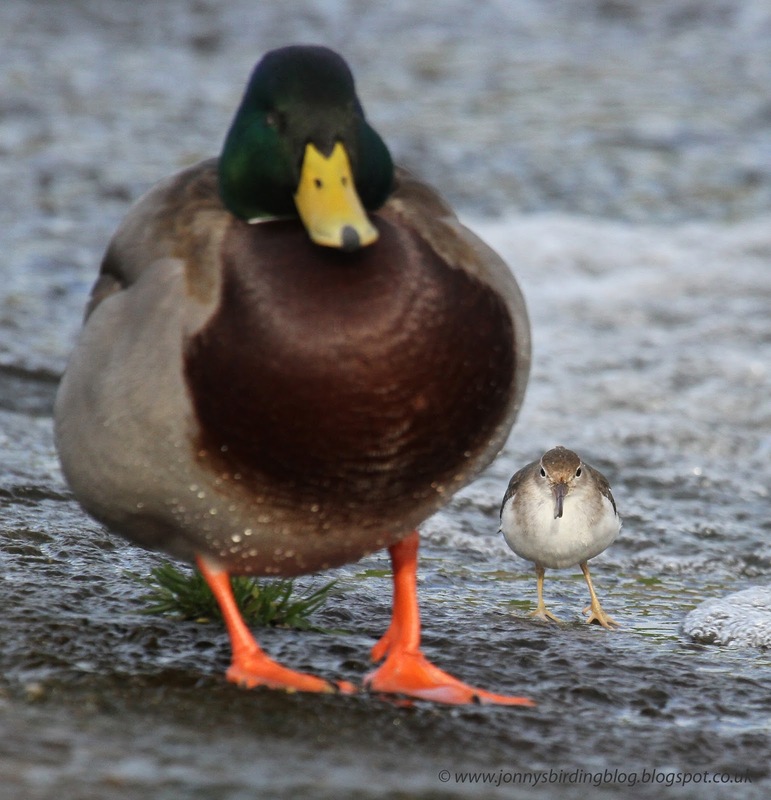 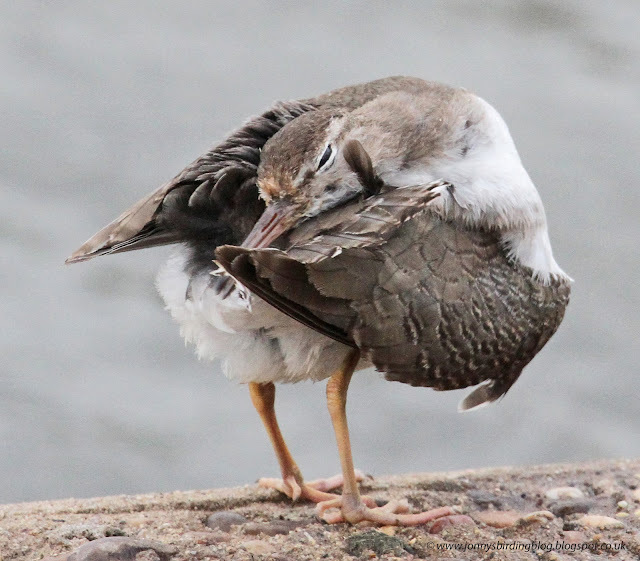 For more on hybrids check out this Birding Frontiers post. 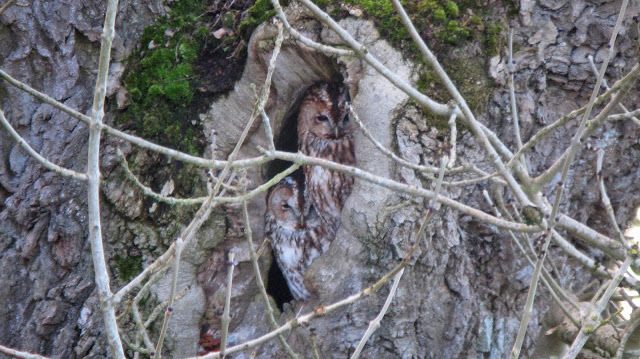 On Sunday, me and my dad left home towards Norfolk where we planned to have a couple of days birding and hopefully pick up a couple of new birds for me. 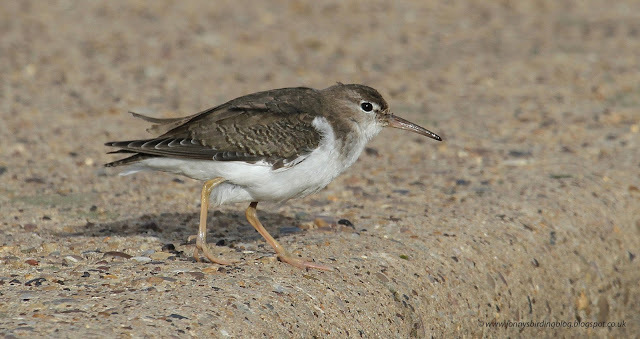 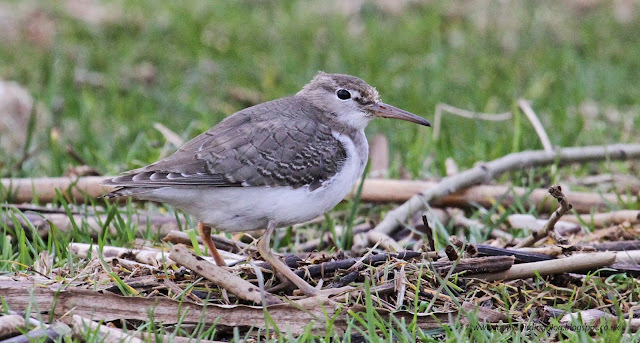 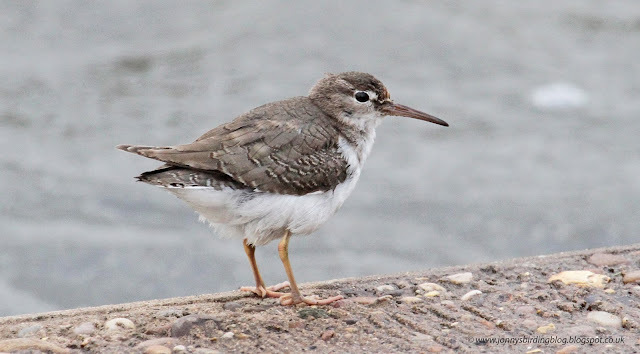 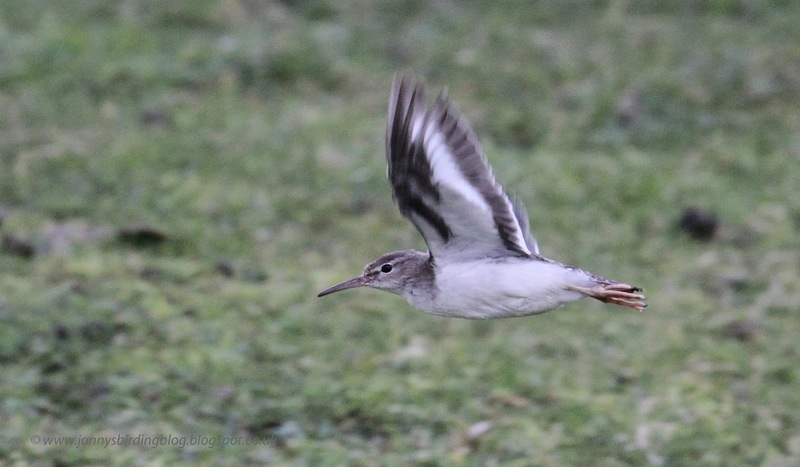 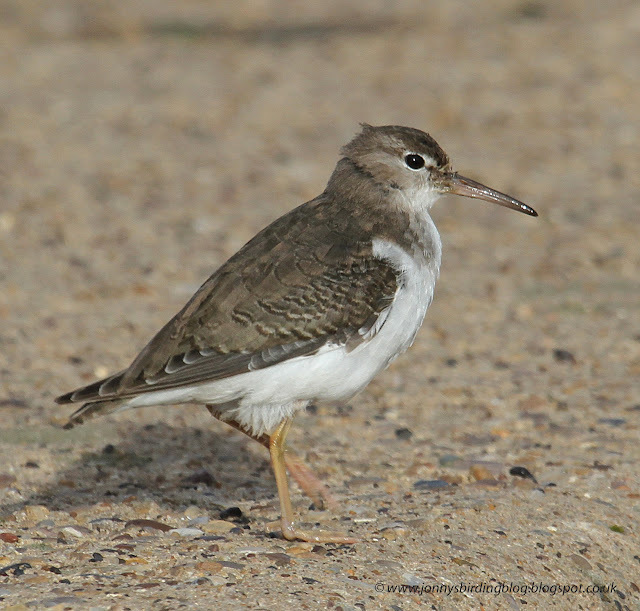 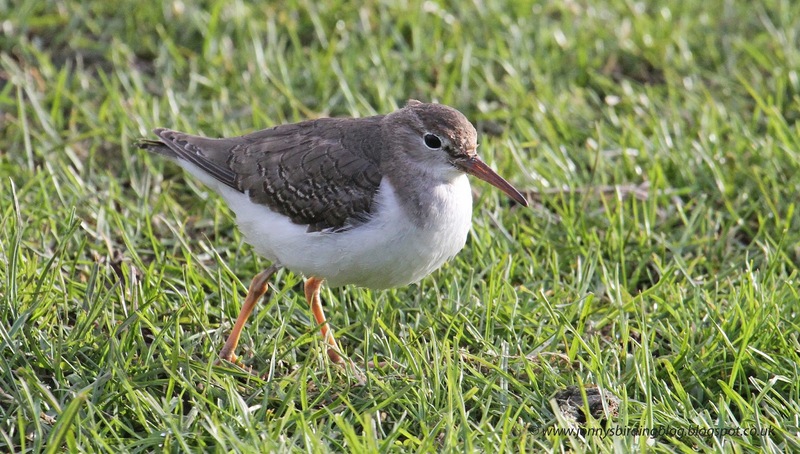 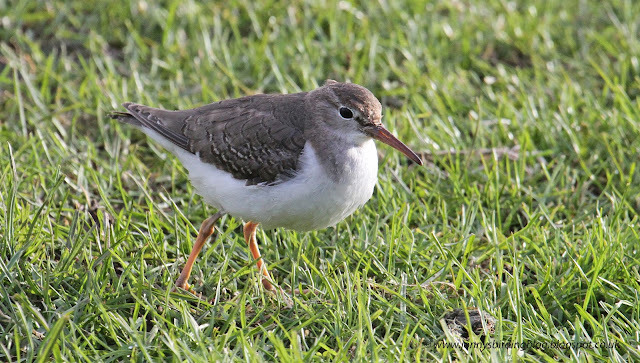 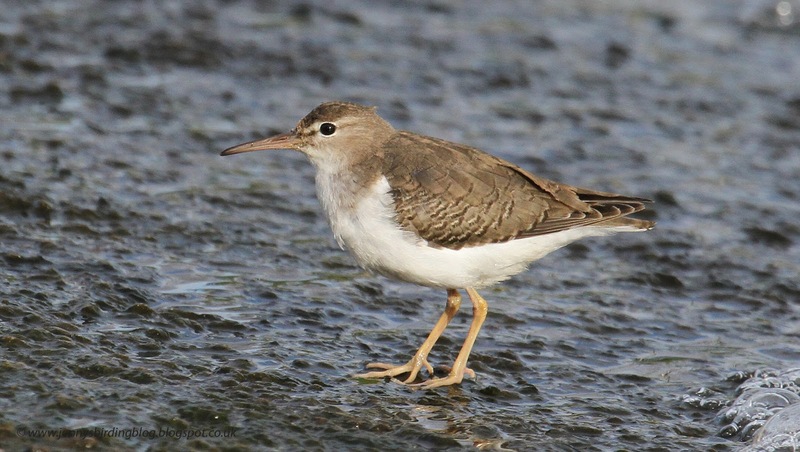 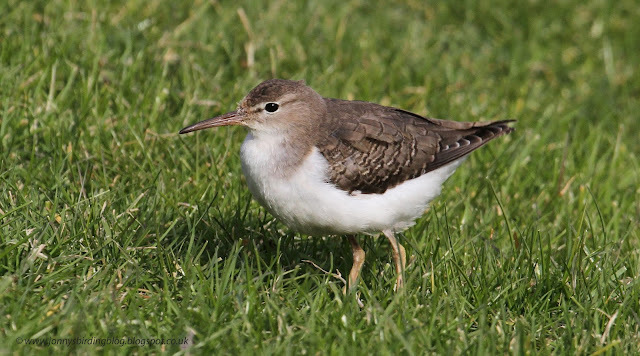 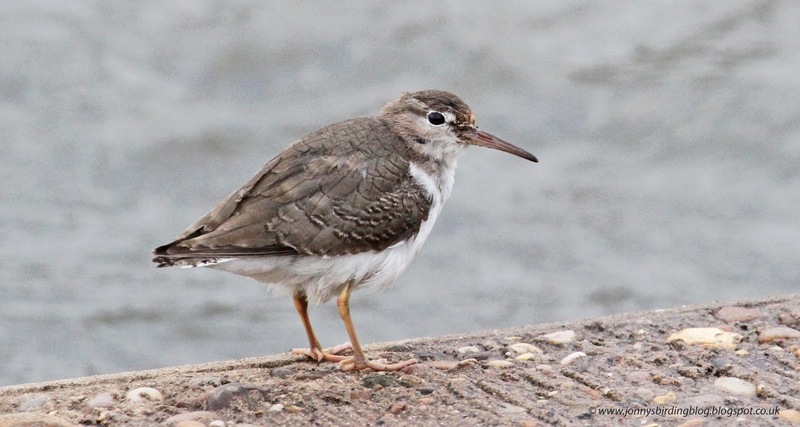 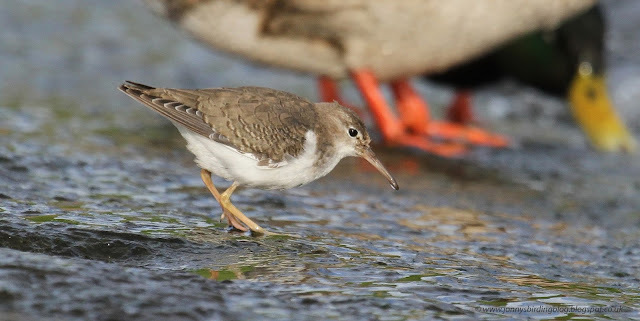 On the way down however, we stopped at Holme Pierrepont in Nottinghamshire where a Spotted Sandpiper had been showing recently. It took four hours but eventually it did arrive at its favored white water rafting course and showed really well. 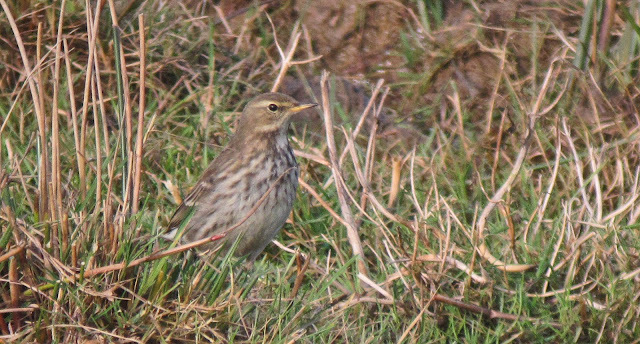 I took plenty of photos, with mixed results, but the best are shown below. 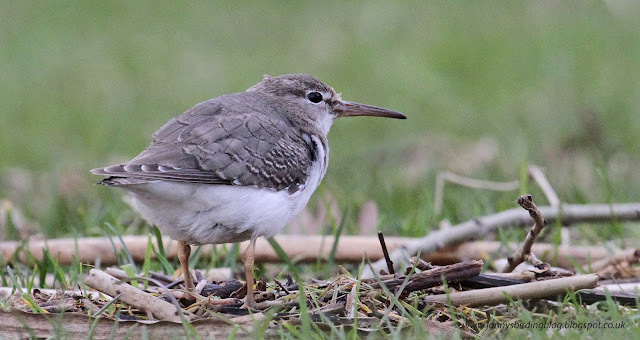 Spotted Sandpiper - the wing bar was a little bit bigger than we were expecting, but importantly, it does not reach the body as on Common Sandpiper. 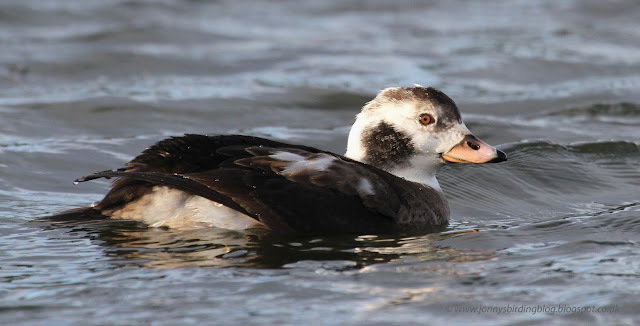 Our first stop this morning was Chevington, which was very quiet for us, with the only bird of note being the long-staying Long-tailed Duck. 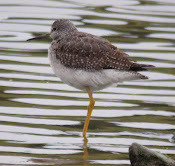 We decided not to bother with the south pool today, and headed south towards Druridge Pools, via Widdrington Moor Lake. 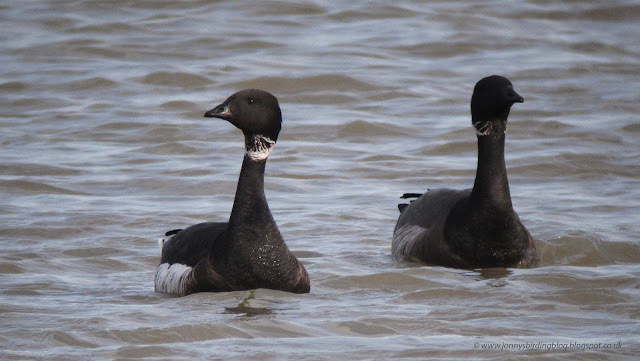 At the latter, one of the Great Northern Divers was still diving in the south-west corner and the many gulls included 2 smart Mediterranean Gulls - a first-winter and a second-winter and our first of the year. On arrival at the Budge Screen it was initially quite quiet, but a scan of the ducks revealed the hybrid American x Eurasian Wigeon feeding on the far bank, as well as 4 Black-tailed Godwits. 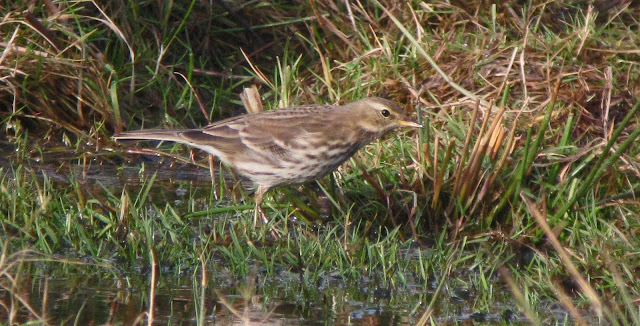 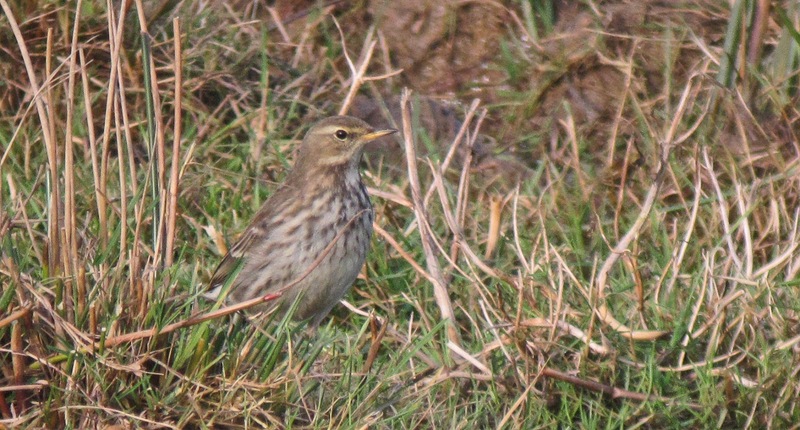 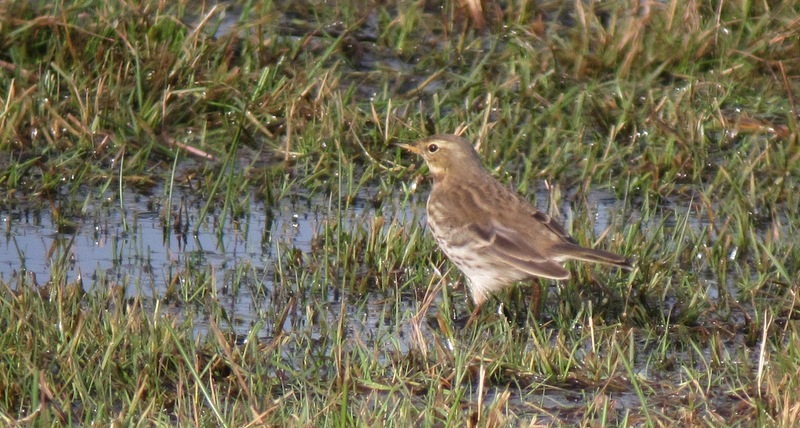 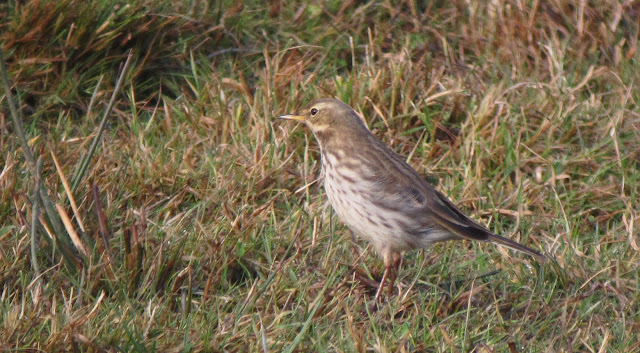 All of a sudden 2 Water Pipits took flight and flew off west, and we thought that would be the last we'd see of them, but it was nice when they both returned, and one even showed really well. 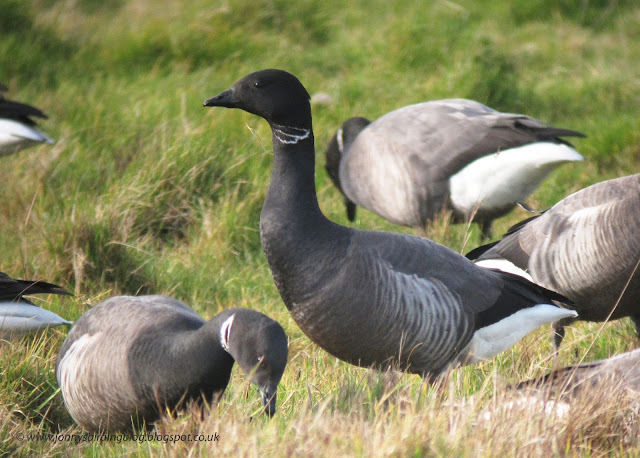 We moved on but not very far as it seemed as though the fields around Hemscott Hill were full of Pink-footed Geese; in fact we estimated over 4000. 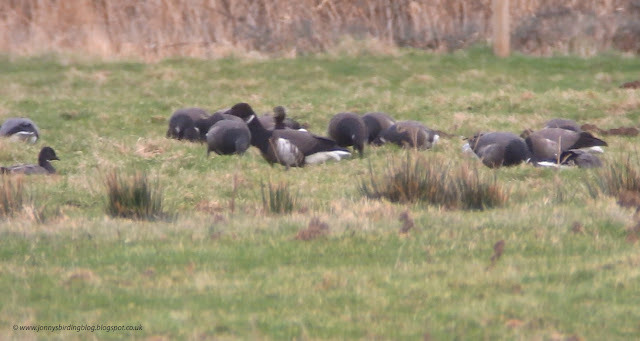 Pulling over to scan them, the first birds I got onto, and in the closest group were 2 nice adult Greenland White-fronted Geese. 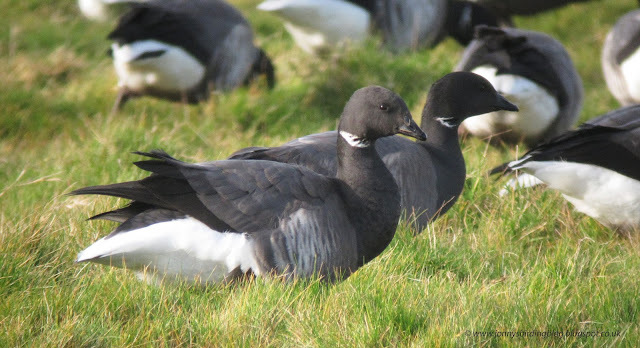 A short while later I picked up 2 Eurasian White-fronts in another field, and it was good to be able to compare these.